People who have enjoyed regular tent camping for years are now converted to using hammock tents and the reasons aren’t hard to see. 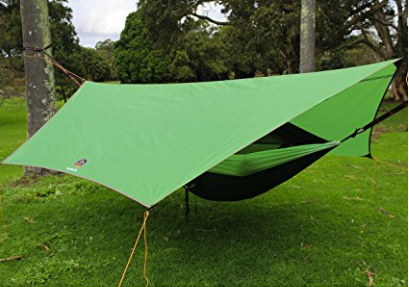 A hammock tent can be erected in just a few minutes and sleeping away from the ground has many advantages. Sleep protected from all weathers and from inquisitive animals and bitey bugs. 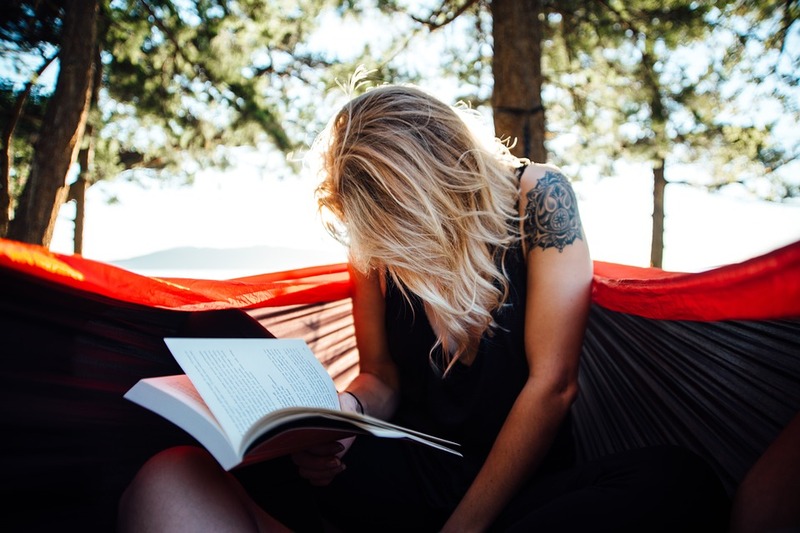 Relax in your hammock during the day, protected from harsh sun or bad weather. As you can see, the overhead tarp is a great size so there’s plenty of room for, for example, a camping table and chair or your preferred cooking device. 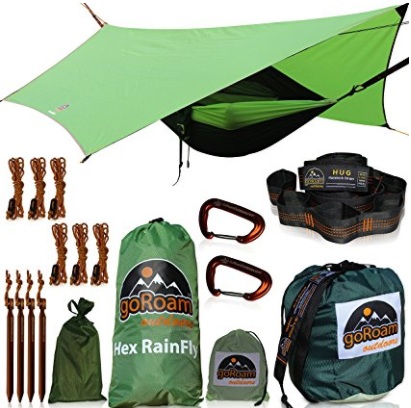 Users report that it keeps them dry and protected even during bad weather and the hammock receives 5-star reviews at Amazon and you’ll read a lot of practical advice there too but I admit that a great part of the appeal for me is camping in the trees.